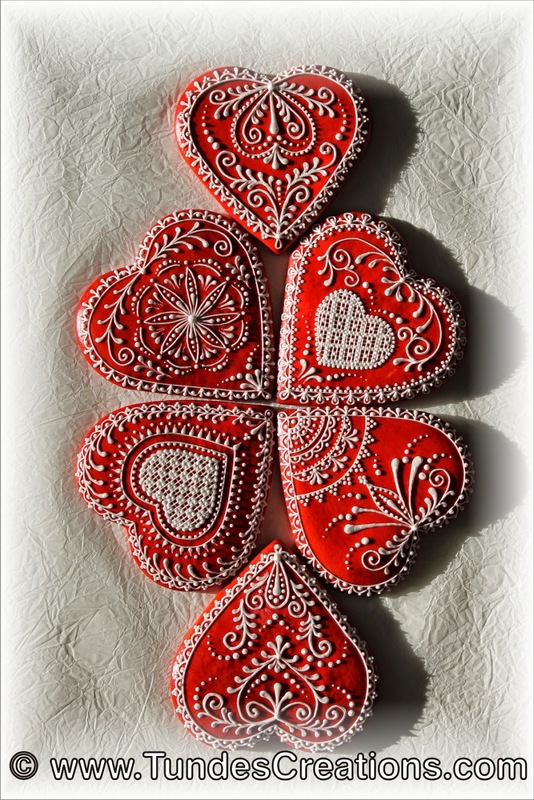 This is the real traditional Hungarian gingerbread heart: red cookies with white icing. Although I love to explore new techniques, use colors and get creative, these red hearts always cheer me up. These hearts will be framed in a shadow box. What a great gift idea! If you make smaller hearts you can use them to decorate your Christmas tree. Just make a small hole with a skewer and the ornament is ready. It's a fun and easy decoration. Bake the basic gingerbread recipe, and let the cookies cool. Then mix one egg yolk with 1 tbsp milk and some gel food coloring (I use Americolor super red) and color your cookies, using a paintbrush. Let them dry before decorating with royal icing. The decoration don't have to be intricate at all. With only a few lines and drops they will look great. 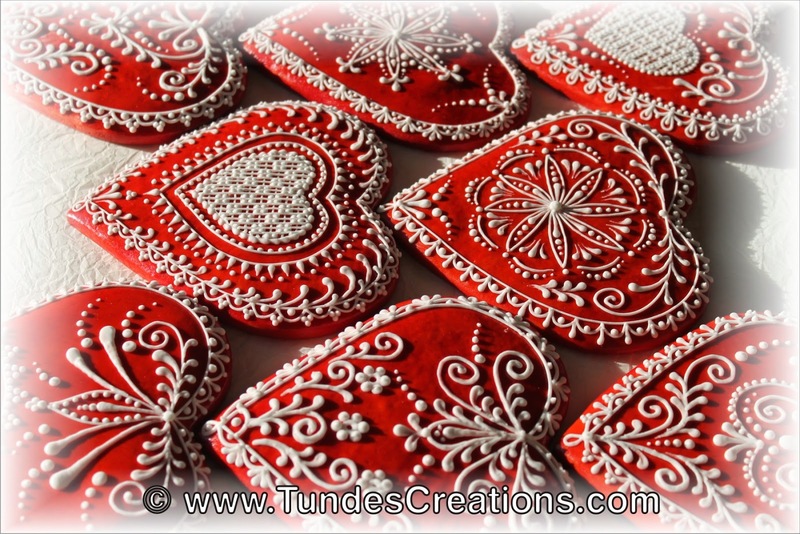 If you would like to practice piping beautiful designs, my newest book has 11 practice sheets. You can also go for inspiration to my co-authors website. Aniko is a wonderful artist, you will enjoy her work. Hope you will join the fun in this holiday season!